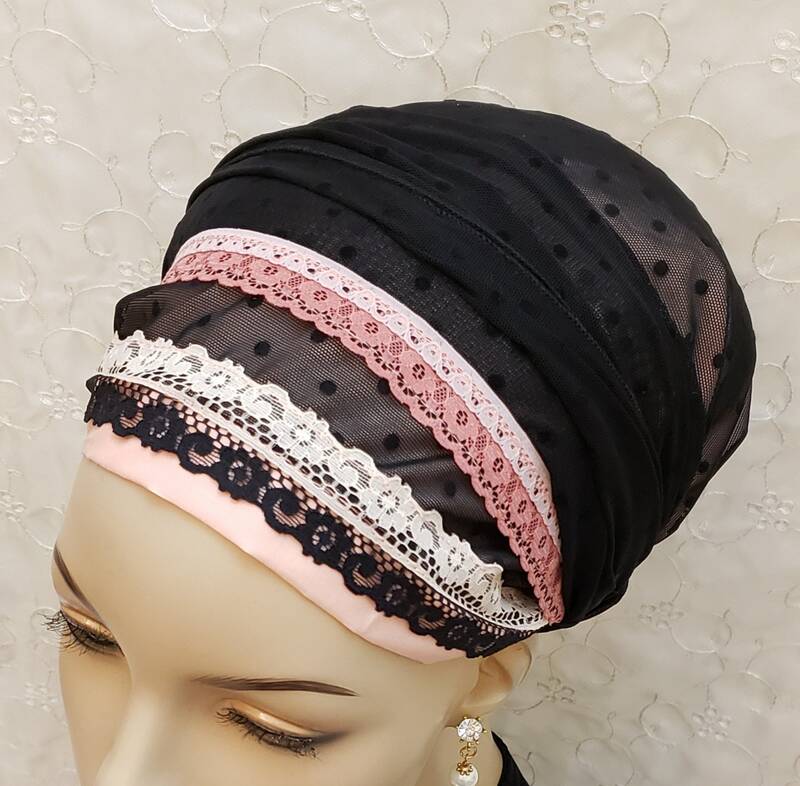 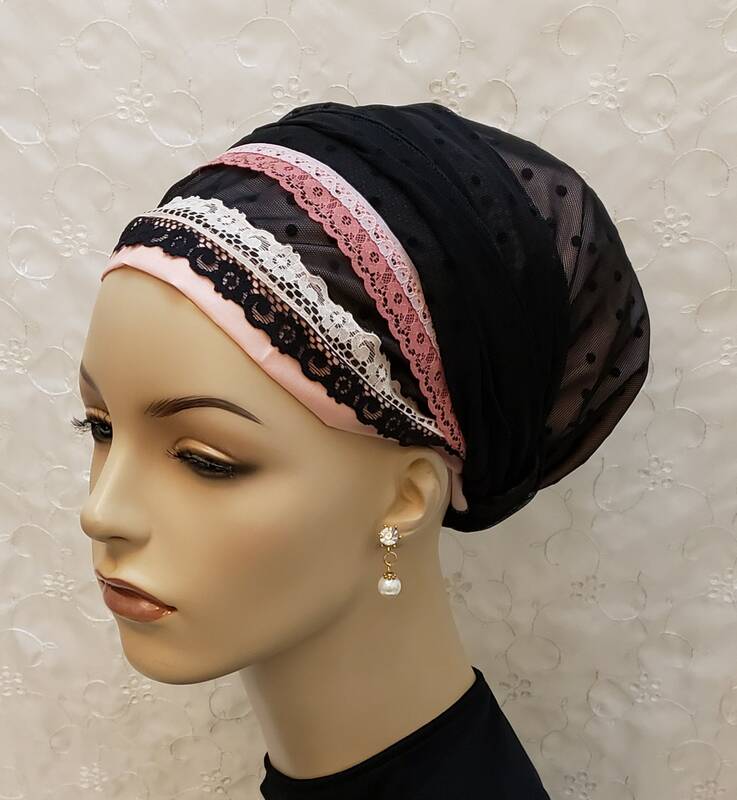 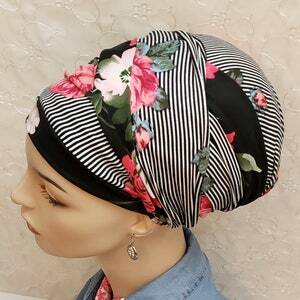 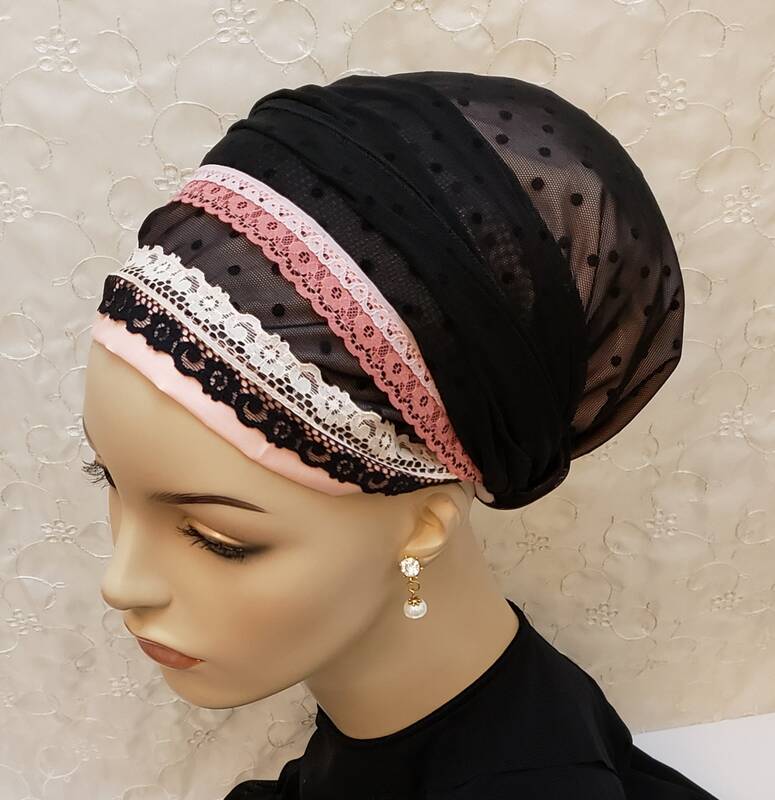 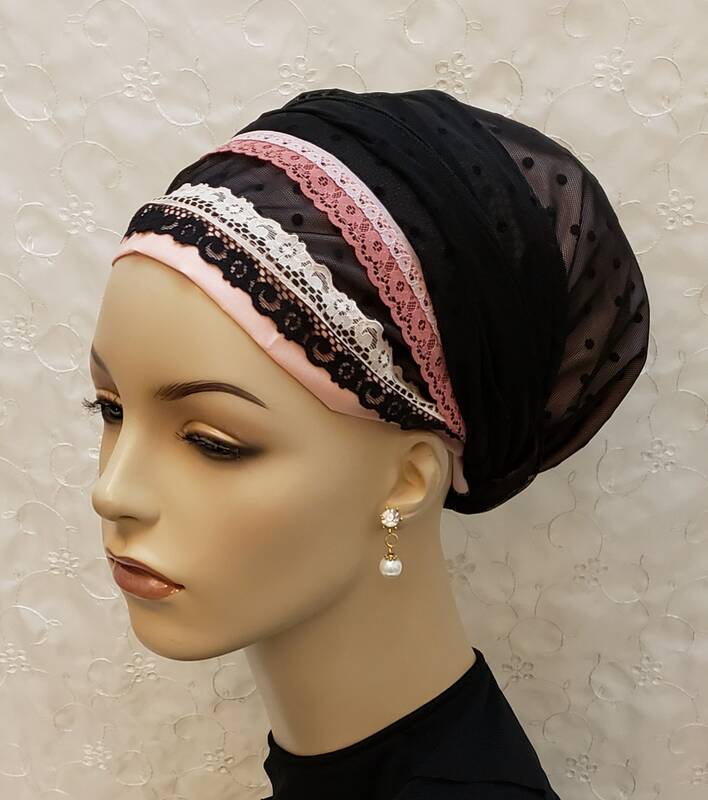 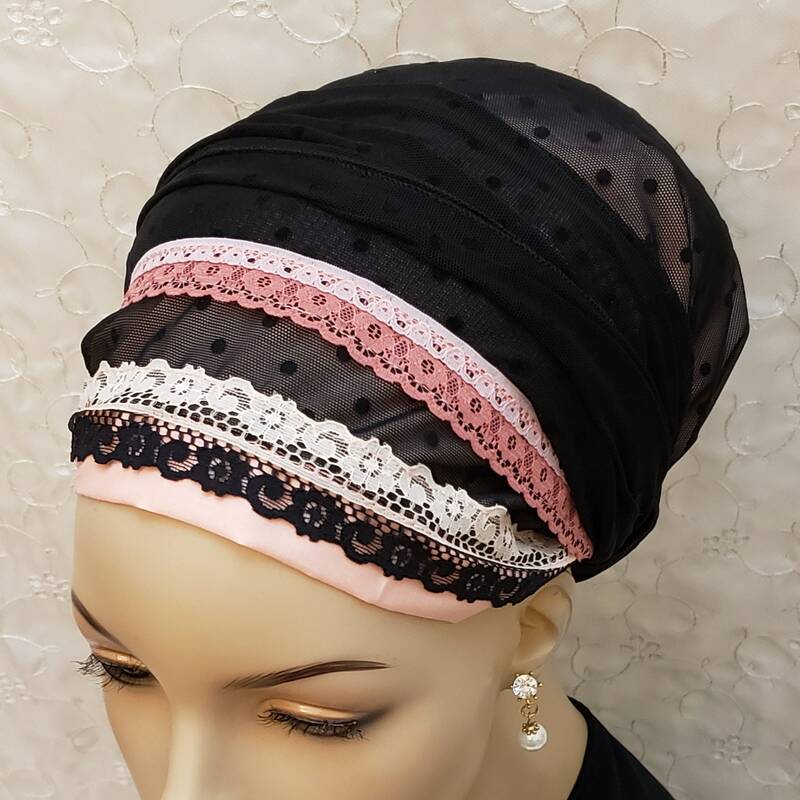 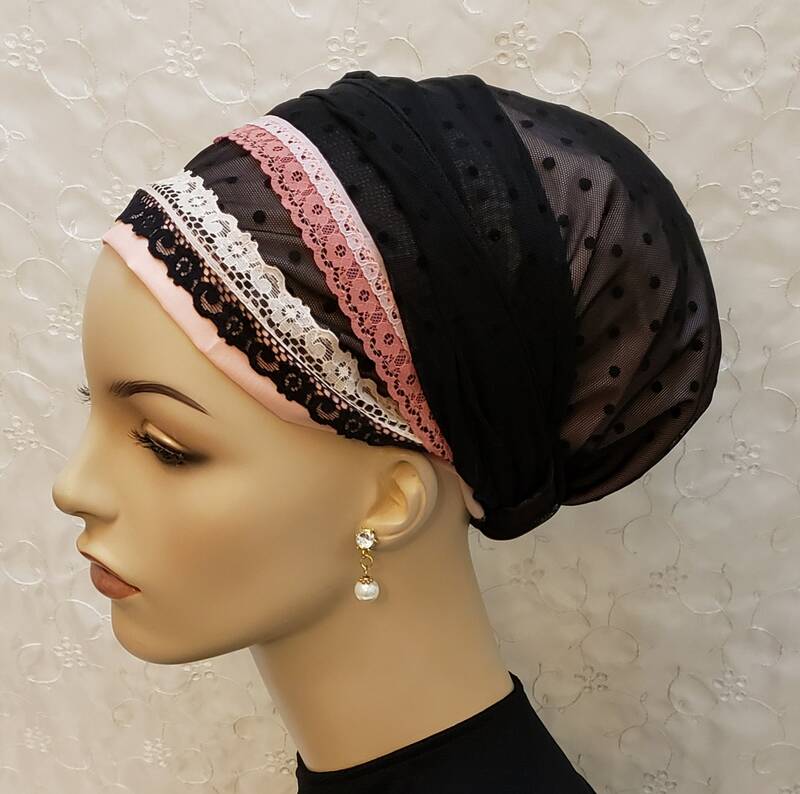 Lightweight soft cotton voile lined black dot lace sinar tichel! 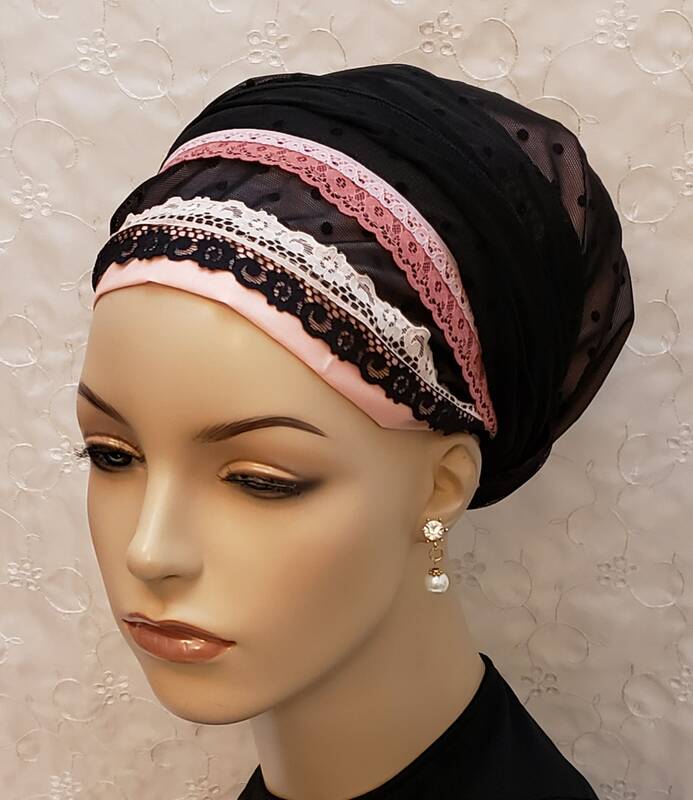 Elegant and feminine. 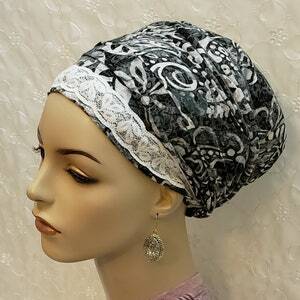 Perfect for Shabbos, Yom Tovim, weddings and other special occasions. 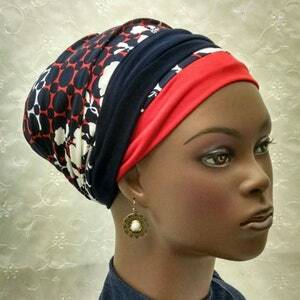 Love this look with the tichel pin? 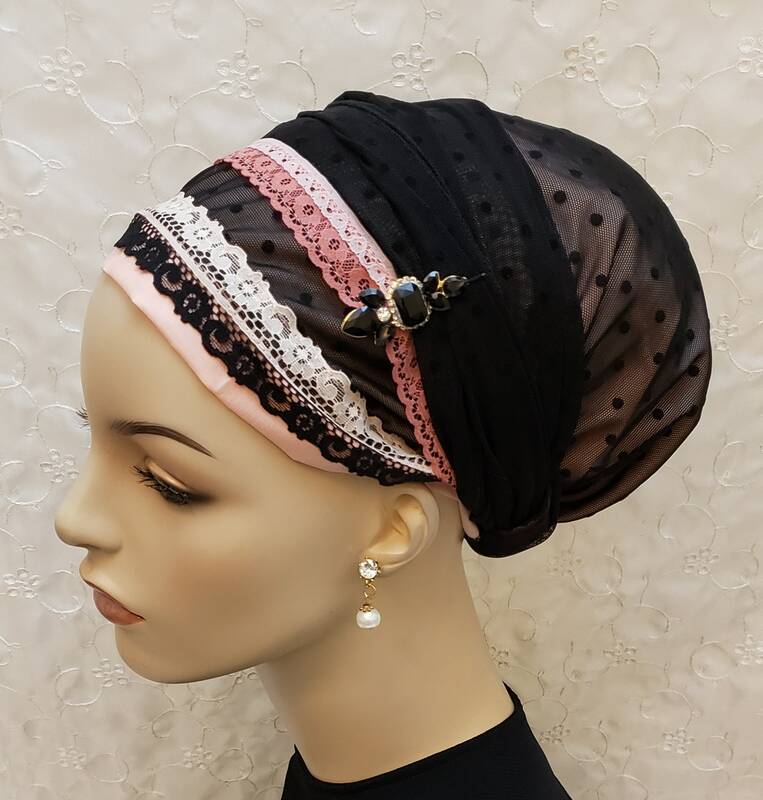 You can find this one or others in my shop! 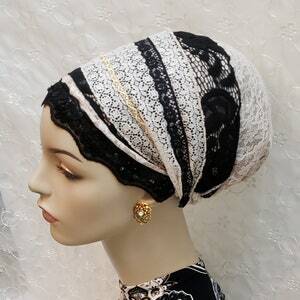 *Tichel pin is not included and can be purchased separately in my shop!